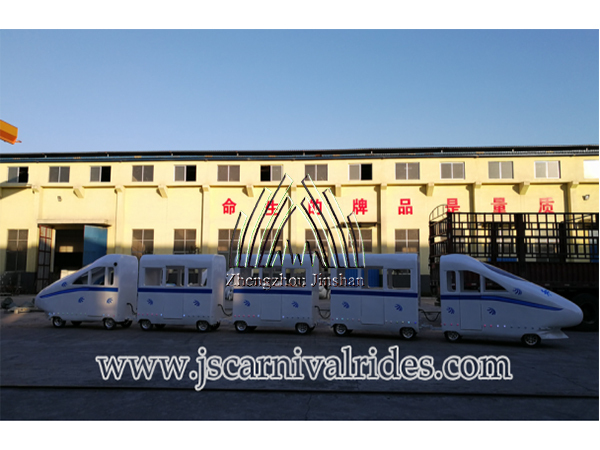 New trackless train has been finished production and tested in our factory-Zhengzhou Jinshan Amusement! This is our patent train, and only we can produce it. 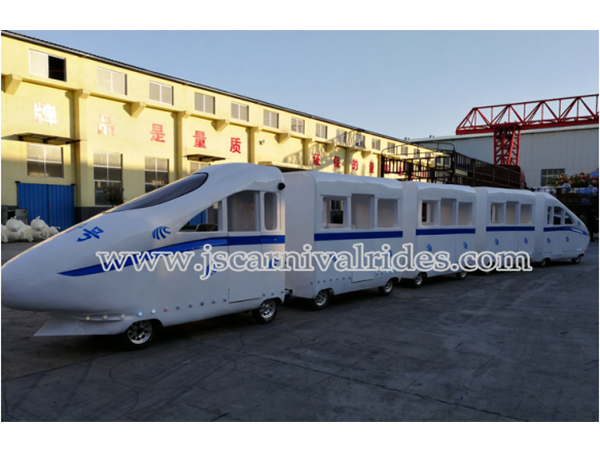 The design is similar to China high speed rail train, very attractive ! 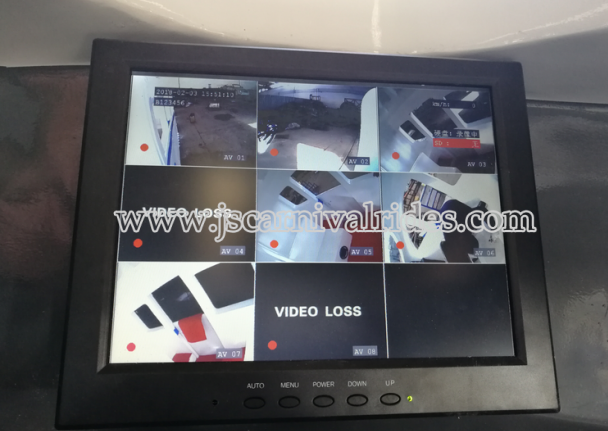 We installed Traffic monitoring at driving cabin, so driver can see the road situation and cabin situation clearly, more convenient and safe. 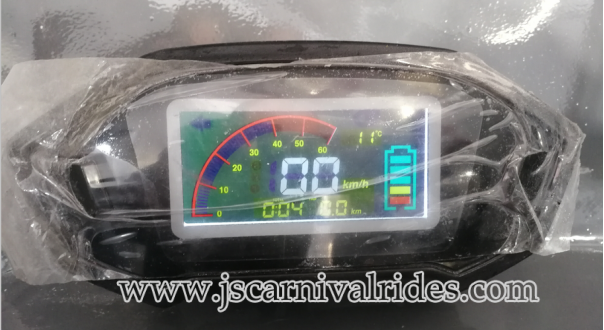 Driver can see the driving speed and battery situation from here. It has music function, and colorful lights around the train, super attractive ! Wanner to see more details? 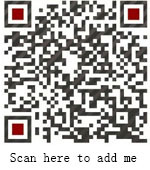 Please don’t hesitate to contact us ! Next： Which Amusement Equipment Suit for The Square Operating ?